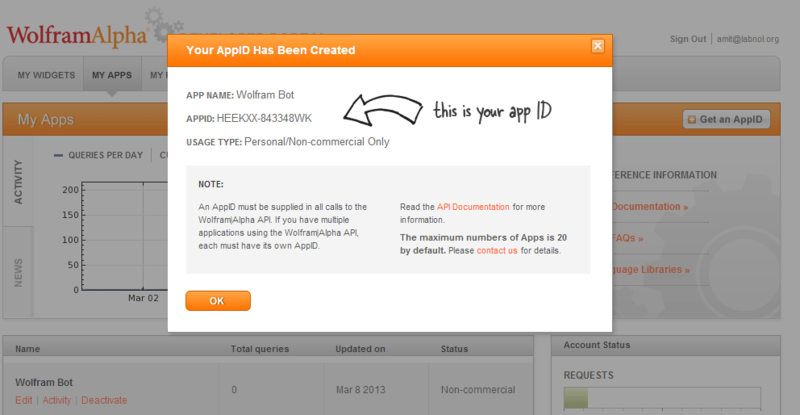 Go to developer.wolfram.com, create an account screenshot and then choose “Get an App ID” to create your new app. We will need this App ID in the Google Script. Your free Wolfram Alpha App can only be used for a non-commercial purpose. 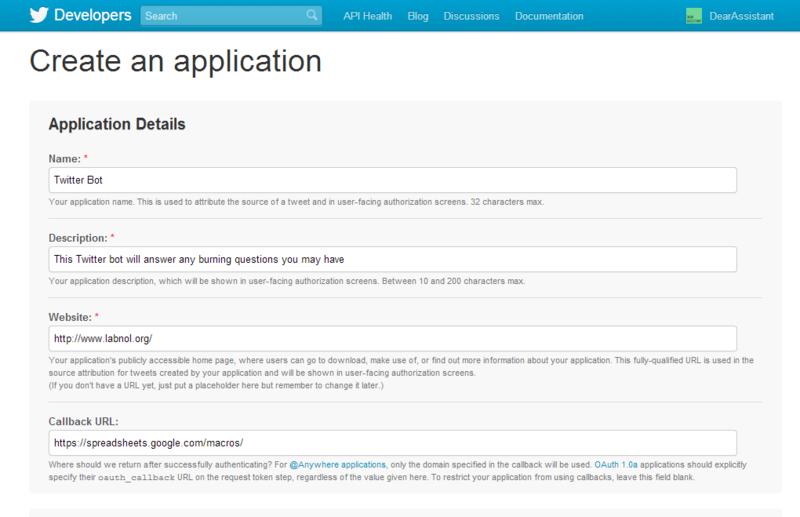 Go to Run -> Start to initialize the Twitter bot. Say yes if the script requires you to authorize access to certain Google services. The code is ready to though you’ll need to create a Wolfram App and also include the Twitter library in your Google Scripts project (key is MKvHYYdYA4G5JJHj7hxIcoh8V4oX7X1M_) with the identifier set to Twitter. // time to 5 or 10 minutes though the bot won't offer real-time answers then. // Are the Twitter access tokens are valid? // You can also use MailApp to get email notifications of errors.